AzBaja.com, Home of the VW Baja Bug -:- Baja Forums -:- VW Volkswagen Bug, Baja, Bus, Sandrail and Thing -:- VW Volkswagen & Baja Bug General Discussion -:- Any other tennessee baja'rs out there? 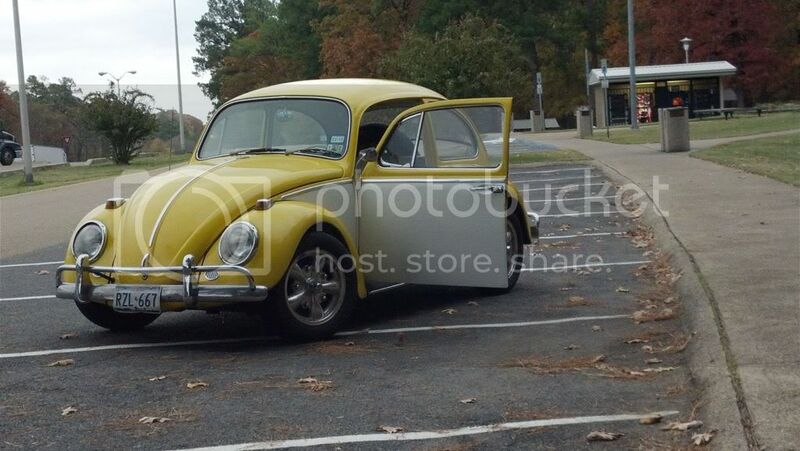 Baja Forums -:- VW Volkswagen Bug, Baja, Bus, Sandrail and Thing -:- VW Volkswagen & Baja Bug General Discussion -:- Any other tennessee baja'rs out there? Any other tennessee baja'rs out there? Post subject: Any other tennessee baja'rs out there? I'm in middle tennessee and built my baja this summer although i've actually never even seen another baja bug in person since several years ago in nashville. and it wasn't even drivable. just curious is there anyone else on here from good ole tennessee? Post subject: Re: Any other tennessee baja'rs out there? I guy that used to work for me has a baja and just moved back to tennesee. His name is Donnie, I will see if I can get him on here. Welcome to AZBAJA. How about posting some pictures/video of your Baja and where you ride. The car somehow looks great in pics... but nice paint isnt much good over dents and rust. Lol i know i picked one of two of the worst years to build... a 66, but i am too stuborn to back off it. I'm all for Offroad Baja Bugs. I'm also not real squeamish about cutting up cars. But the panel fit on that still look good, even if it has some hidden issues. I'd probably still fix the body damage and keep it a streeter. There are a zillion Bajas out there. If you want a Baja, it seems it would make sense to sell this one and buy a Baja which already is on the way towards what you want. You know, after thesamba, i became so bitter and angry that i was determined to build this baja, from the beginning, so i could have what i want, know what quality of work had been done, and to prove i could... but i did just look at bajas up for sell in my area. It would be amazing if someone around here would be down for a trade, so ill keep lookin. On the samba, they said the last owner was a moron for selling to me, and i was to poor to and stupid to build it (being military)... i appreciate the better atmosphere here. Beachmaster, you're not the only one I've encountered who was unhappy with their experience on The Samba. I don't often log on there lately because I get tired of some of the posters. Anyway, this seems a nice friendly group here. I like how your bug was before. I understand some issues with rust and poor previous repairs. I don't mean to tell you what you can or should do with your own car. I express my thoughts on it as how I would do it. If that makes sense to someone else, then fine. If it doesn't make sense to them, then that's OK too. Several people from my area in the Southern California Mojave Desert moved to the Tennesee/Kentucky border in recent years. One lady who used to go offroading with my local group in her tube frame buggy was moving back to where she was from. She sold her buggy just before moving as she had never seen a buggy there. Once she got there, she really regretted selling it as she suddenly found lots of buggy users and lots of trails. After living in Tenn. I know finding cars without rust is hard. So look at it this way. will it cost more to fix the rust or cut out the cancer? 2nd tip for an off road car, do not put any floor mats carpet etc. inside it (Found out this was a big problem with muscle cars that never go off road too). If you get them wet it will never dry out smell like mold and help rust the car out. Off Road cars aka jeeps seem to get filled with water when I was in Memphis and would rust out long the floors, the same thing is true for Bajas.